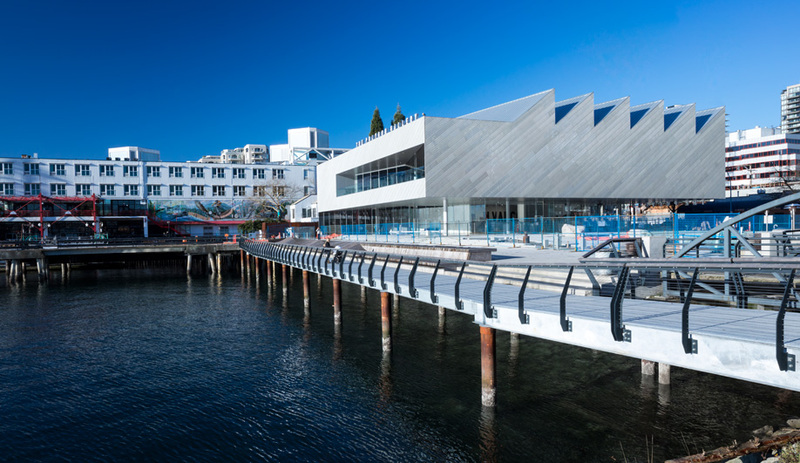 Situated at the foot of North Vancouver’s Lonsdale Avenue, the striking new home of the Presentation House Gallery, a well-known regional art space, is perhaps the most dramatic architectural gesture to be made on that stretch of British Columbia coastline since the opening of the Lonsdale Quay itself. Now called the Polygon Gallery, the building was designed by Patkau Architects (the husband-and-wife practice with a host of museum, library and other cultural projects under its belt) and is named after Polygon Homes (a property development firm and sponsor of the gallery). 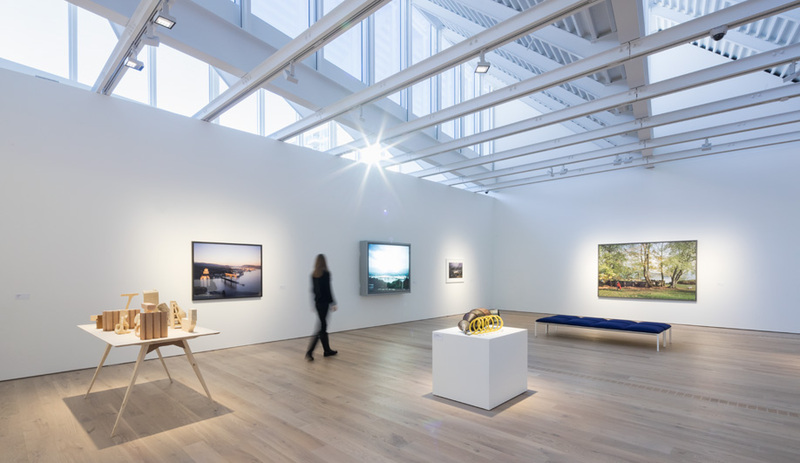 Appropriately enough, its inaugural exhibition, the magnificent show N. Vancouver consists of existing and commissioned works that ruminate on the shifting identity of the locale in which the building sits. For readers unfamiliar with the area, the waterfront in “North Van,” as it’s invariably known, has historically been industrial – a creosote-stained home to tugboat-maintenance facilities and fish-packing plants, operations that at their peak depended on access to the bustling port waters of Burrard Inlet. (North Vancouver, an independent municipality of just under 53,000 people, sits across the inlet from Vancouver proper.) But all that is mostly gone now. Today’s North Van waterfront has shifted in focus to residential, retail and entertainment interests in which Polygon Homes has more than a passing interest. The gallery was designed specifically to sit at that most visible of our contemporary cultural intersections: the sonorous retreat of a sepia-toned history missed only in the abstract and the clamorous advance of an overpriced present that is frequently dreaded in its concreteness. The gallery’s sawtooth roof has become a dominant presence along North Vancouver’s waterfront. The resulting architectural challenge is one that might be approached any number of ways. The City of North Vancouver, which donated the waterfront land, could have found its Baron Georges-Eugène Haussmann to completely reimagine the area. But that’s not how we do things at this particular moment in architectural postmodernity. At this moment we strain to remember what once was (tugboats, canned salmon, affordable housing). And in paving over that which now appears irrevocably lost, we erect structures that self-justify with a guilty backwards glance. When I asked John Patkau about this contemporary impulse, he good-humouredly acknowledged it, noting that he had resisted the municipality’s original request to put up a history-themed mural on the north face of the building. “I would argue that this building isn’t historicist. It’s modern but acknowledges history,” he said. Large windows in the roof’s fins flood the second floor with natural light. 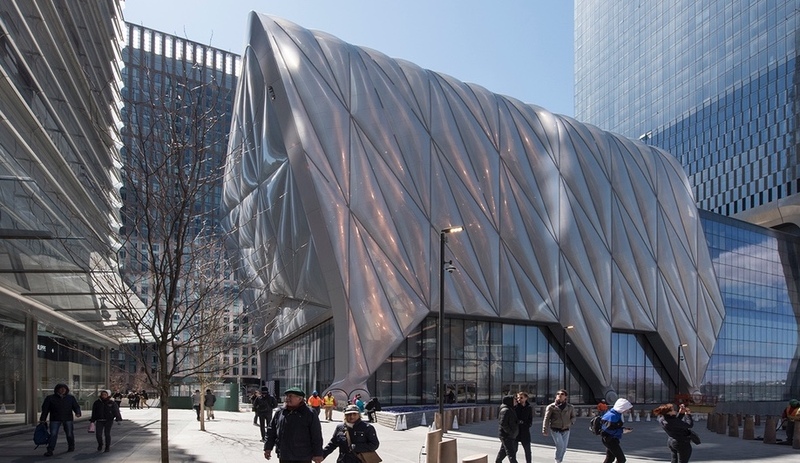 In the case of the Polygon, this acknowledgment begins with the sawtooth roof, a feature that gallery designers have used before, of course. 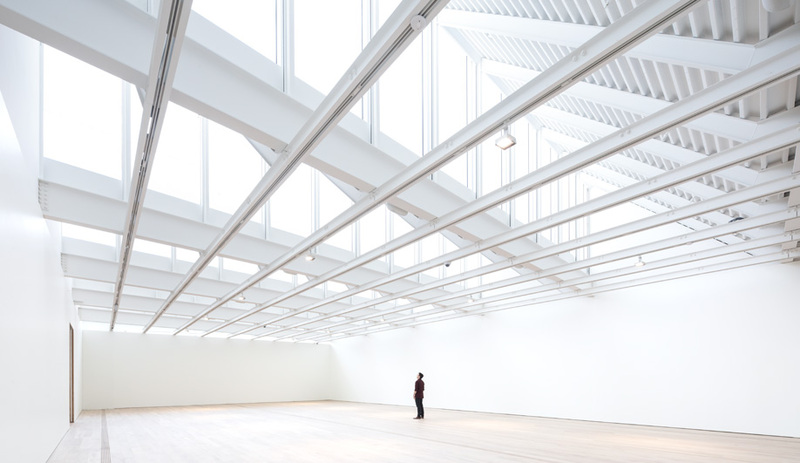 (For instance, the gorgeous Newport Street Gallery in London, by Caruso St John Architects, has one.) 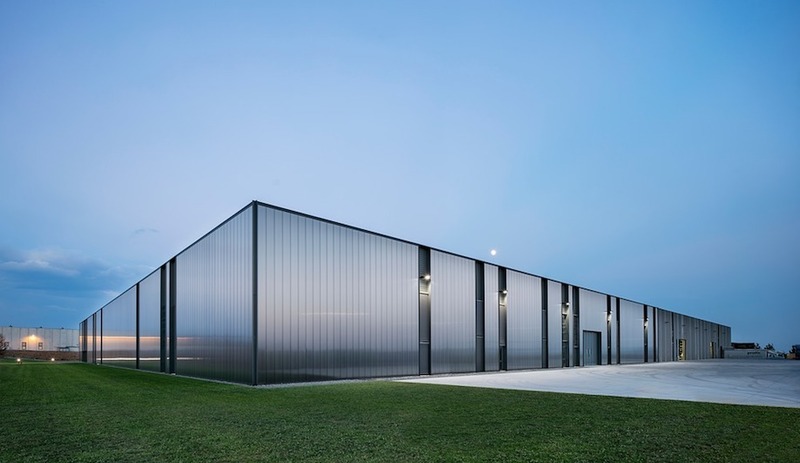 These roofs make sense for the same reason they made sense for industrial applications: North-facing vertical glass panes provide for an even distribution of high light with minimal shadows. In the Polygon, the effect is a luminous blue that hovers in the airy spaces above the main exhibition hall, light that serves the art without competing. The exterior cladding is a similar gesture: Open-mesh metal grating typically used in nautical decking is applied here in a pattern that complements the sawtooth roofline and makes reference to the nautical history of the site. If the vertical situation of these familiar textures is disorienting – as it was to this ex-Navy man who had only ever seen this material underfoot – the impact is compensated for by the mirror-finish stainless steel that is mounted beneath and that shifts in colour from slate blue to a deep and burnished green, much as the sea changes colour in different kinds of weather. 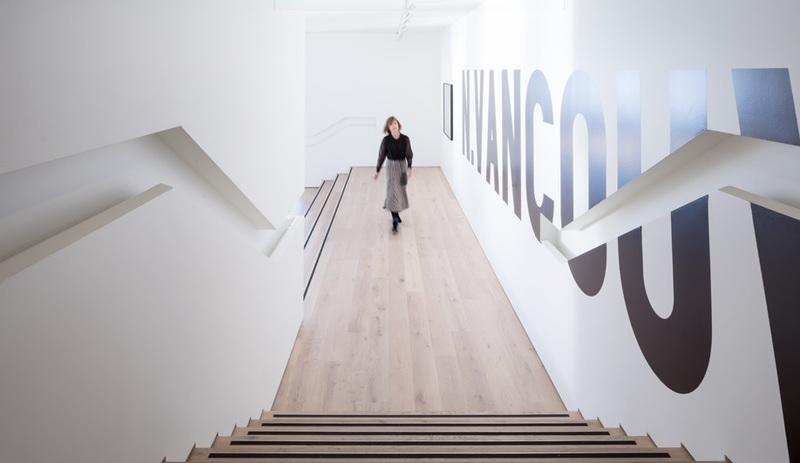 Wide, gently sloping steps lead to the gallery’s four upper-level exhibition spaces. In these two features is captured what an architect friend referred to as a likeable “crispness.” And indeed there is a presence to the Patkau structure that is striking as you round the corner out of Victory Ship Way and see it glistening there at the foot of Lonsdale. It’s a building that creates a bigger visual footprint than its actual square footage, dominating the area and in a sense giving definition to the surrounding structures. In a way not dissimilar to Herzog & de Meuron’s Elbphilharmonie in Hamburg, the Polygon is an art object in itself, hovering above its own pedestal, in this case speaking with uncanny authority both to history and to the shifting environment. Perhaps ironically, it is precisely this success that gives the design its most inherent and notable contradiction. The pedestal in this case is glass. And the interior walls of the main floor are painted white, so as to almost disappear upon first viewing. 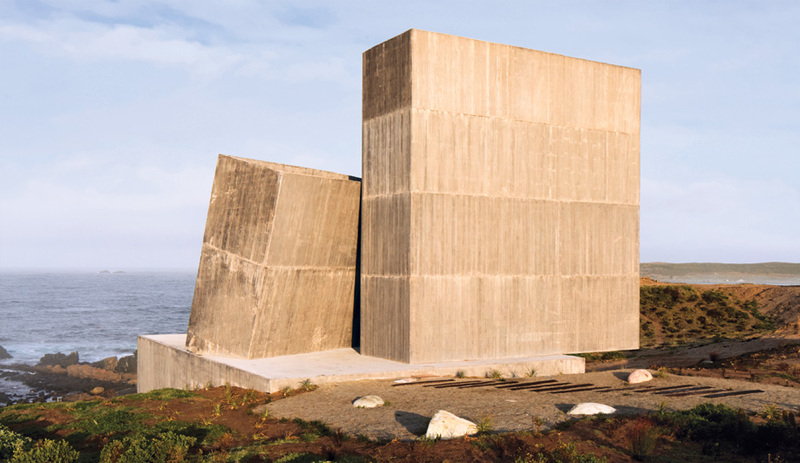 The effect is to create a detachment of the building from its own situation, physically raising it to occupy space above the plane of the square. For a backwards glance, this is a lofty one, which is not to say that it is insincere, only that there’s a self-awareness in the structure that confounds its bid to integrate with area history. That to which I refer is entirely gone, the gleaming structure seems to announce, a feeling enhanced upon entry, standing in front of those archival photos of a North Vancouver that few of us can even remember. A retractable glass wall opens onto a balcony providing a panoramic view of Vancouver’s skyline. Effective? Strikingly so, if visitor traffic is any indication. The place was packed on the Sunday that I visited. 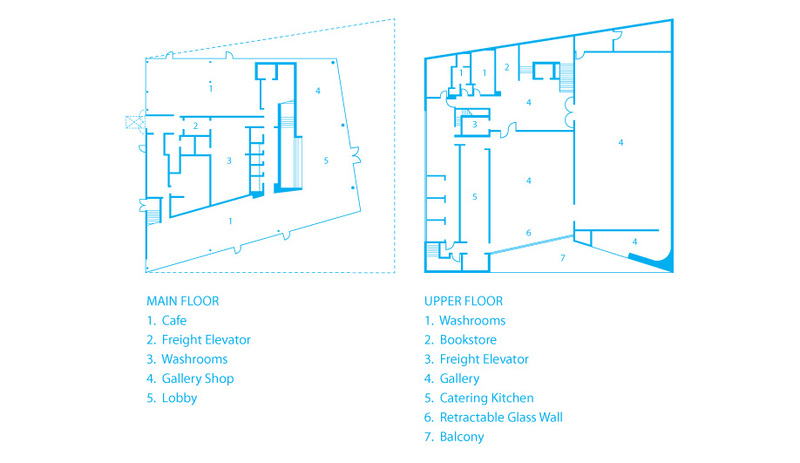 On the main floor, with its large, dedicated space for the gift shop, a planned restaurant should only draw more in. Nowhere was the gallery’s intensity of focus more obvious, however, than on the outer decking upstairs. 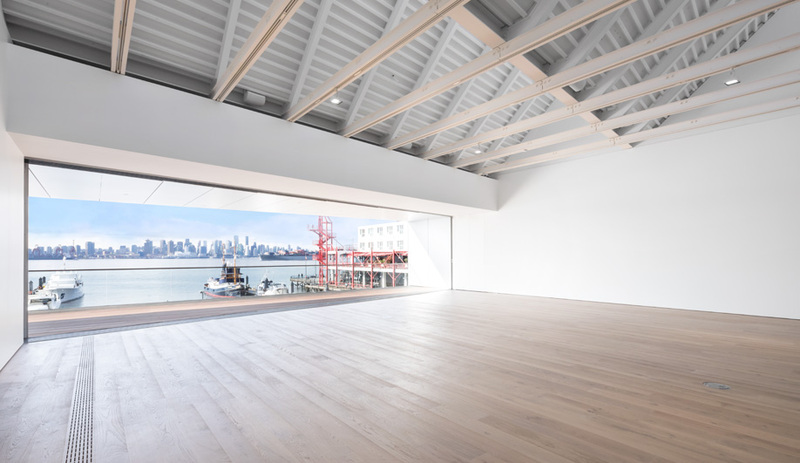 In a flourish that distinguishes the Polygon from older-style art venues (such as the existing Vancouver Art Gallery), the exhibition space extends through glass doors to a wide south-facing deck that provides a sweeping view of downtown Vancouver. For a gallery, this is oddly anti-contemplative, drawing the eye away from the artwork and out toward the shining city view. It’s also a feature that needs to be blacked out in order to display artworks such as Jeremy Shaw’s Best Minds, a brilliant video meditation on straight edge, the punk subculture. 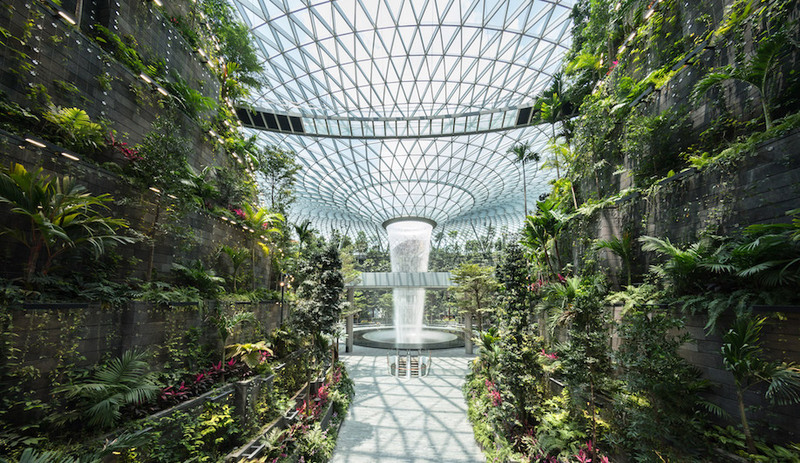 Overall, the architecture reflects a clash of missions in the space: Parts of it are perfectly attuned to the presentation of art, while others respond to the imperative of attendance and public engagement – a broader and more flexible idea of public coming-together than can be accomplished merely through curation. And that, then, is the degree to which the Polygon succeeds in both occupying and defining the cultural intersection in question. Do we contemplate or consume art? Do our buildings reassure us or aspire beyond? In a region where affordability has receded to an abstract past, these questions are unanswerable. But this hovering, glistening structure is to be commended for asking them. This story was taken from the March/April 2018 issue of Azure. Buy a copy of the issue here, or subscribe here.